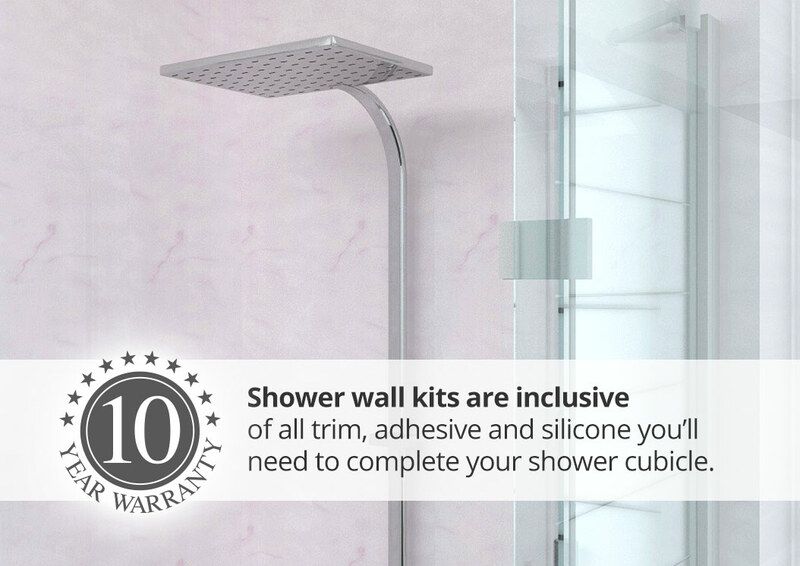 Discover our range of shower wall panel kits, everything you need to complete the job with style. Whether you are looking for tile effect, bold flat colours or designer stone effect panels our range is guaranteed to enhance your bathroom or shower room. 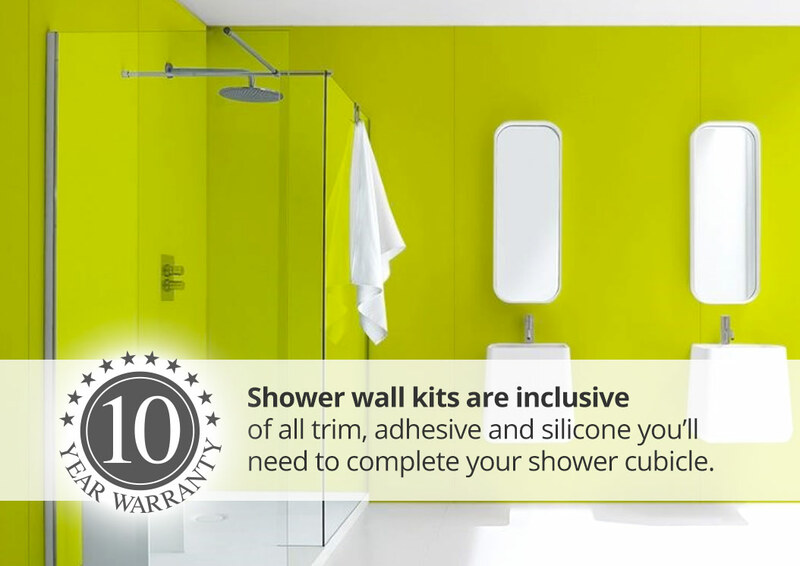 100% waterproof and requiring no grouting our easy to fit and maintain shower wall panel kits are the complete solution for the home DIYer. At IPSL our aim is to make sure that you have all the information you need, right here in order to select the right shower wall panel and design, understand clearly the fitting information for your specific project and have the confidence to place your order, safe in the knowledge that the end result will transform your bathroom or shower room and look truly amazing for years to come - all at a price that wont break the bank! We have designed our online showroom to make it really easy for you to peruse our amazing selection. Whether you need individual shower panels or a complete laminate shower panelling kit, finding your perfect design couldn’t be easier and our brilliant 3D room visualizer lets you view a selection of rooms fitted out with your chosen design - we even provide a free sample service to make sure you are 100% comfortable with your final choice. 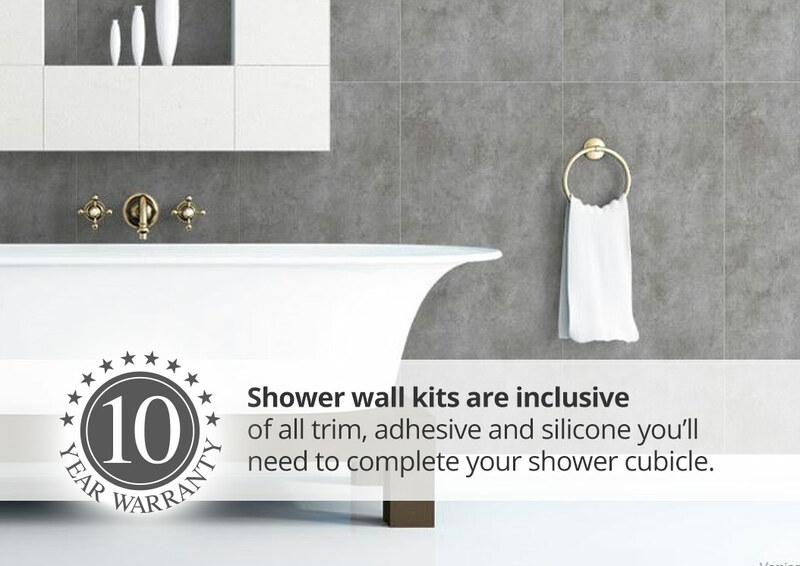 Whether you are fitting over existing tiles or to a new dry wall, non of our shower wall panels need any specialist wall treatment prior to installation and with video installation guides and our expert team available and at your service, you can be sure of achieving a professional, 100% waterproof finish yourself, with just a reasonable level of DIY skills. 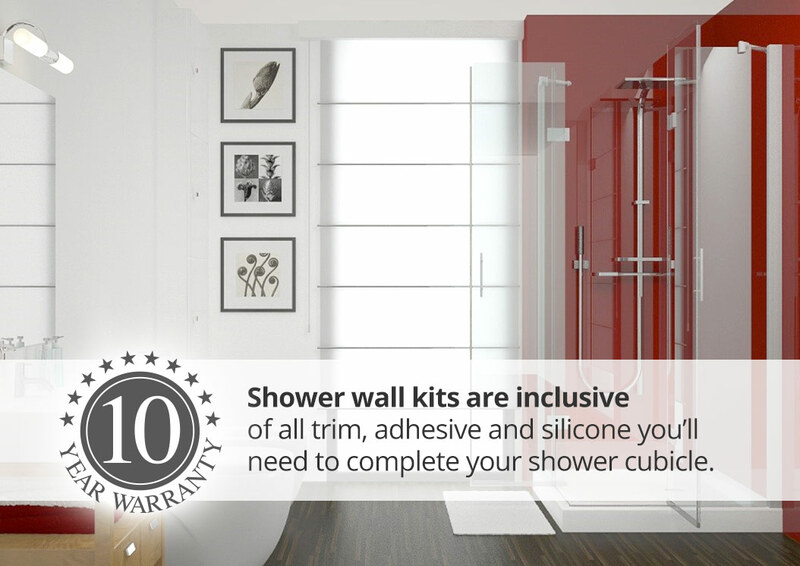 We are so confident in our entire shower wall panel range that we offer a comprehensive 10 year guarantee right across our entire collection. All of our products require minimal maintenance once fitted, do no suffer from the age old problems associated with crumbling and mouldy grout and simply wipe clean with warm soapy water to stay at their best, year after year. With a huge range of designs right here in our easy to browse online showroom, the right advice and installation guidance either online or just a phone call away and the highest quality backed by our 10 year guarantee, we are absolutely certain that you can find the right solution for your bathroom, shower room or wet room project - don’t just take our word for it - check out our customer reviews – 1000’s of people choose IPSL every year!